Is This the “Next Step” You’ve Been Seeking? Maybe you’ve been working magic for years. Maybe you’ve been practicing magic for just a few weeks. But what is at its heart? What is the very essence of magic? Certainly it’s not wands or altars or robes. Natural magic shows that you can work successful and powerful magic without any of those things (though these tools can all enhance what you do). Certainly it’s not herbs and simple spells. Ceremonial magic has shown that we can work powerful magic without either. So what is the essence of magic? After all, if you could discover its deepest heart, you could easily perform magic and get all kinds of fantastic results. There are three things. First, there’s you. Somebody has to do the magic. Second, there is the achievement of a state of consciousness where the magic can happen. And third, there is the creation and manipulation of magical energy. Everything else are just additions that might add to these three things. There is a style of magic that focuses on just those basics, the essence of magic. It’s popular just about everywhere in the world, yet still seems out of reach to many. But all of that changes with the first practical, clear, and essential book on the subject: Hands-On Chaos Magic by respected lecturer Andrieh Vitimus. Chaos Magic is absolutely non-dogmatic and non-sectarian. No matter your background, you can use Chaos Magic. But, the problem with some previous books on Chaos Magic is that they have been too theoretical and philosophical. When you get Hands-On Chaos Magic, however, the entire direction of this system changes. It finally becomes easy to understand, practice, and use. It becomes accessible to anyone willing to do the work, regardless of previous training. 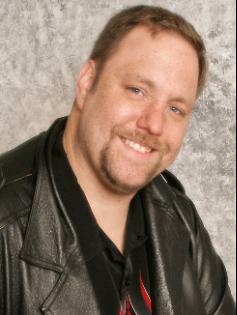 Hands-On Chaos Magic walks you through every step of learning the theory and practice of this system. If you’ve never done any magic at all, this is the course of magic for the coming millennium. If you’re an experienced magician you’ll learn many new practical concepts and techniques; the success and strength of your magic will soar. 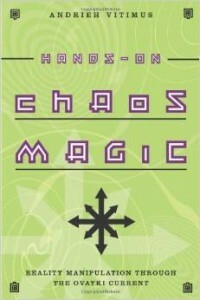 Hands-On Chaos Magic includes information on virtually every aspect of magic as well as the most modern understandings of the mind and science. It’s spun together into a fun book with an attitude. It’s down to earth, practical, and it works. If you want a step-by-step training manual that teaches you how to actually use one of the most popular systems of magic in the world, this is that book. If you plan to get only one book on magic this or any year, make that book Hands-On Chaos Magic.